BY ACCESSING, BROWSING, OR USING THE SITE, YOU AGREE TO BE BOUND BY THE TERMS AND CONDITIONS SET FORTH HEREIN, AND ANY POLICIES REFERENCED BY THESE SITE TERMS, INCLUDING ANY SUBSEQUENT CHANGES TO THE FOREGOING. IF YOU DO NOT AGREE TO THESE SITE TERMS OR ANY SUBSEQUENT MODIFICATION, DO NOT ACCESS, BROWSE OR OTHERWISE USE THE SITE. If you are a Mannatech Associate, your conduct while using the Site is also governed by the Associate Agreement, inclusive of the Policies and Procedures. All copyrighted and copyrightable materials on the Site, including but not limited to the text, design, manuals, product information, graphics, images, pictures, sound, videos, and other files, and the selection and arrangement thereof (collectively, “Materials”) are ALL RIGHTS RESERVED © 2002-2017 Mannatech, Incorporated and/or its licensors. Mannatech grants you a limited license to make personal use only of the Materials for information purposes only. This license is subject to these Site Terms, and does not include the right to: (a) use the Site or Materials other than for the intended purpose, including but not limited to any marketing, selling, or other commercial uses; (b) use framing techniques to enclose any portion of the Site, including any images found on the Site or any text or the layout or design of any page or form contained on a page; (c) publish, publicly perform or display, or distribute to any third party any Materials, including reproduction or hosting the Materials on any computer network or broadcast or publications media; (d) make derivative uses of the Site or the Materials or make any modification to the Site or Materials; or (e) any systematic collection or extraction of data through the use of any data mining, robots or similar data gathering or extraction methods. You are not conveyed any other right or license, by implication, estoppel or otherwise, in or under any patent, trademark, or proprietary right of Mannatech or any third party. Any unauthorized use of the Site will terminate the permission or license granted by these Site Terms and may violate applicable law, including but not limited to copyright laws, trademark laws (including trade dress), and communications regulations and statutes. You are also advised that Mannatech, Incorporated (“Mannatech”) will aggressively enforce its intellectual property rights to the fullest extent of the law, including the seeking of criminal prosecution. Notice of claims of copyright infringement of our web site materials can be reported to the Company by emailing webcompliance@mannatech.com. Trademarks of Mannatech and those of its suppliers or licensors may not be copied, used or imitated, in whole or in part, without the prior written permission of Mannatech or its suppliers or licensors. You may not use meta tags or any other “hidden text” using any of the above-referenced marks without Mannatech’s permission. Additionally, all page headers, graphics, icons, and scripts are service marks, trademarks, and/or trade dress of Mannatech, and may not be copied, imitated, or used, in whole or in part, without Mannatech’s prior written permission. All other Mannatech names or logos mentioned on the Site, or any other trademarks, registered or otherwise, are the property of their respective owners. Reference to any products, services, processes or other information, by trade name, trademark, manufacturer, supplier or otherwise does not constitute or imply endorsement, sponsorship or recommendation thereof by Mannatech. This Site is based in Flower Mound, Texas, USA. Mannatech makes no claims that the information located herein is appropriate or may be downloaded legally outside of the United States. Access to the Materials may not be legal by certain persons in certain countries. If you access this Site from outside of the United States, you do so at your own risk and are responsible for compliance with the laws in your respective jurisdiction. 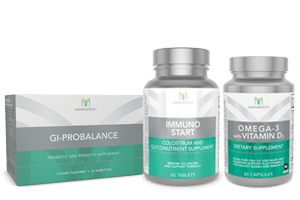 Mannatech products are not designed for use in the treatment of disease or to substitute for a doctor’s care or proven therapy. 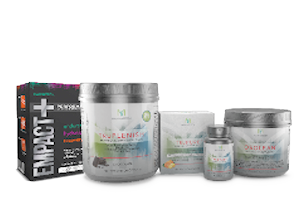 Mannatech products are not intended to treat, cure or prevent any disease. Any product claims made by individuals within the content of this web site are based upon his or her personal belief,and Mannatech disclaims all liability for such claims that may be made. These are the statements of the individuals giving them and not of Mannatech. Any misuse of this Site will result in disciplinary action in accordance with Mannatech Associate Policies and Procedures, and any handling of such abuse shall be left solely to the discretion of Mannatech. Any Content submitted through the Site by users is submitted with the express understanding that the Content may be used without limitation by Mannatech or any of its affiliates, in whole or in part, for any purpose in perpetuity, including modification, reproduction, transmission, publication, advertising, press, publicity, broadcast, and posting in any media. You additionally agree that Mannatech is free to use any ideas, concepts, techniques, or know-how contained in any Content you send to or post on or via the Site for any purpose whatsoever. This Site and any other official Mannatech web site may contain links to sites owned or operated by parties other than Mannatech. Mannatech provides these links as a convenience only and does not endorse the companies or contents of any linked sites. Mannatech does not control, and is not responsible for the content or privacy policies on, or the security of, such sites. Mannatech reserves the right, at its discretion, at any time, to change or modify the Site Terms that may be applicable to you, or any part thereof, and to impose new Site Terms and conditions. Such changes, modifications, additions or deletions will be effective immediately. Each time you use the Site the terms and conditions set forth in these Site Terms will apply to your use. Users of the Site should periodically check for changes to the Site Terms. Your continued use of this Site following the posting of changes to the Site Terms, or by other means by which you obtain notice of those changes, means that you accept those changes. THE SITE AND THE MATERIALS CONTAINED HEREIN ARE PROVIDED ON AN “AS IS” AND “AS AVAILABLE” BASIS WITHOUT WARRANTIES OF ANY KIND, EXPRESS OR IMPLIED. YOU EXPRESSLY AGREE THAT USE OF THE SITE, INCLUDING ALL CONTENT OR DATA DISTRIBUTED, DOWNLOADED OR ACCESSED FROM OR THROUGH THE SITE, IS AT YOUR SOLE RISK. 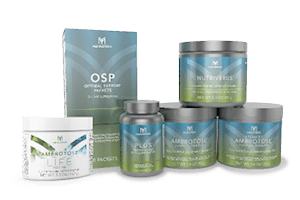 MANNATECH DISCLAIMS ALL WARRANTIES, EXPRESS OR IMPLIED, INCLUDING, BUT NOT LIMITED TO, IMPLIED WARRANTIES OF MERCHANTABILITY, FITNESS FOR A PARTICULAR PURPOSE, TITLE AND NON-INFRINGEMENT AS TO THE INFORMATION, MATERIALS, AND CONTENT ON THE SITE. MANNATECH DOES NOT REPRESENT OR WARRANT THAT MATERIALS IN THE SITE ARE ACCURATE, COMPLETE, CURRENT, RELIABLE OR ERROR-FREE. MANNATECH IS NOT RESPONSIBLE FOR TYPOGRAPHICAL ERRORS OR OMISSIONS RELATING TO PRICING, TEXT OR PHOTOGRAPHY. WE CANNOT AND DO NOT REPRESENT OR WARRANT THAT THE SITE OR ITS SERVER(S) ARE FREE OF VIRUSES OR OTHER HARMFUL COMPONENTS, INCLUDING CONTENT THAT IS POSTED BY THIRD PARTIES. YOU SHOULD USE INDUSTRY-RECOGNIZED SOFTWARE TO DETECT AND DISINFECT VIRUSES FROM ANY DOWNLOAD. IN NO EVENT SHALL WE BE LIABLE FOR ANY INDIRECT, SPECIAL, INCIDENTAL, CONSEQUENTIAL OR PUNITIVE DAMAGES (INCLUDING BUT NOT LIMITED TO LOSS OF USE, LOSS OF PROFITS, OR LOSS OF DATA) WHETHER IN AN ACTION IN CONTRACT, TORT (INCLUDING BUT NOT LIMITED TO NEGLIGENCE), EQUITY OR OTHERWISE, ARISING OUT OF OR IN ANY WAY CONNECTED WITH THE USE OF OR INABILITY TO USE THIS SITE OR THE MATERIALS THEREIN OR RESULTING FROM UNAUTHORIZED ACCESS TO OR ALTERATION OF DATA. THE PARTIES ACKNOWLEDGE THAT THIS IS A REASONABLE ALLOCATION OF RISK. These Site Terms and any transactions thereunder shall be governed by and construed in accordance with the laws of the State of Texas applicable to agreements made and entirely to be performed within the State of Texas, without resort to its conflict of law provisions. You agree that any action at law or in equity arising out of or relating to these terms and conditions shall be filed only in state or federal court located in Dallas County, Texas, and you hereby irrevocably and unconditionally consent and submit to the exclusive jurisdiction of such courts over any suit, action or proceeding arising out of these Site Terms. Mannatech stands behind the quality of its products and your satisfaction. If for any reason you try our product and are not completely satisfied, you may return it within 180 days of purchase for an exchange or refund of the product price and applicable tax. The MAXIMUM refund amount for product refunds is $1,000 plus tax. Mannatech will not refund or return any additional product received in excess of $1,000. Complete the Return Authorization Request Form available in the Mannatech Resource Library. Return empty or unused bottles in a package to Mannatech. You are responsible for return shipping costs, any insurance and tracking your return shipment package should it become necessary. All exchanges will be done on a one-for-one, equal value basis. No exchange for opened or dirty bottles. The Company will pay the return postage for product going back to the customer. NOTE: Retail Customer: Contact Customer Care [1-800-281-4469] within 30 days of purchase to obtain a Return Authorization Number and Product Return Form. Inspect the package upon arrival for any damage and report the damage within seven (7) days. Review the order (compare package content against the packing slip) for accuracy and items that may be on backorder. [At no additional cost, backordered items are shipped separately as soon as they arrive at the warehouse.] Report all incomplete or inaccurate shipments within seven (7) days. In the event your order does not arrive within ten (10) business days, contact Customer Service. Please have account number, order number, and shipment information available for the Customer Service Representative.